There's a lot of choices in today's car market and a lot more choices coming in tomorrow's. 1. Keep your engine tuned and your tires inflated. 2. Use nitrogen in your tires. It maintains pressure better than oxygen. 3. Remove any drag on your car. Roof racks, open windows, open sunroofs, and team flags create drag on the vehicle and thus reduce gas mileage. Cost $23,000 Mileage: 44 city, 47 to 53 highway Fits 4 people comfortably Expected useful life: 200,000 miles per Consumer Reports. UPDATE : My Prius just crossed over 100,000 miles. I've only had one unschedule maintenance issue. A $400 water pump for the battery electrical system. Hybrids are traditionally defined as vehicles with two engines, gas or diesel combined with an electric motor. Different companies have different technologies that make their hybrids more or less efficient. Tips for buying a hybrid. 1. Buy your hybrid when gas prices dip. When prices dip, consumers go out and buy gas guzzlers. 2. Do not be talked into paying premiums. Keep shopping dealerships until you find the right deal. 3. Look at the numbers produced. Some manufactures only make a few thousand cars a year in their production lines. Look for a manufacturer who is truly making mass quantities of their product. Electric cars are cars that are driven completely off their electric engines. Some electric cars plug in to the grid to recharge. Others have small gas engines that recharge the batteries but do not directly power the driveshaft. UPDATE : Chevy announces low production numbers and high prices on Volt. The Nissan LEAF is going on tour. 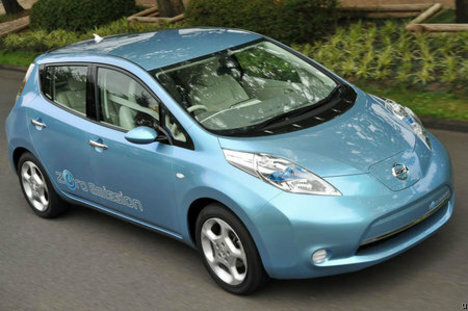 Meet Nissan's new Zero Emission car, the LEAF, in person at a location near you. Coming Soon - Ford Focus Electric!